Kick off for Super Bowl XLVI (that’s 46 for those not familiar with Roman numerals) is around two hours from now. So, I’ve got to work fast on this post. Plus, I’ve got to start my homemade gumbo and still have some time to watch some of the pre-game programming, which I believe started yesterday. In reading the Sunday Chicago Tribune, a piece in the Business section drew my attention. The well researched and well-written article was filed by Tribune reporter Sandra M. Jones on a relatively new internet startup called Pinterest. The focus of Pinterest is pretty simple. According to its website, Pinterest allows subscribers to “organize and share all the beautiful things you find on the web. People use pinboards to plan their weddings, decorate their homes, and organize their favorite recipes.” And, they use “pinboards” — what used to be known as “message boards” or maybe “forums,” to promote their interests, businesses and websites. As you can imagine, Pinterest has a big following among women, including that fast-growing and increasingly powerful online creature — the Mommy Blogger. Full disclosure: I’ve never met a Mommy Blogger, and we don’t have kids. But I understand they wield a lot of power in the online community, especially involving the sales of things like diapers and strollers. 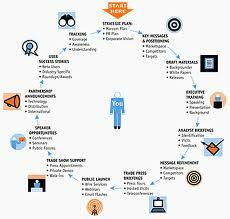 To be successful today online, of course, graphics and video have to be a big part of the package. And, Pinterest is big on images. I scanned the Men’s Style Pinboard and learned that a “J.Crew Secret Wash lightweight shirt in Fallon check” received 1 Like and 6 Repins. 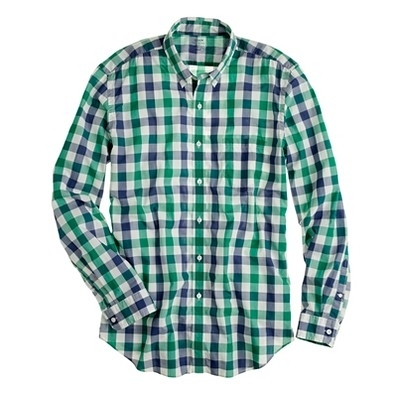 To learn more about this garment, go to http://www.jcrew.com. So, on to my idea and just how to factor in public relations among the recipes and wedding plans. First, I did a search on the Pinterest site for “public relations.” My results did yield “pinups” (my word) for a book on International Relations, Public Spaces in Banyoles (I think that’s in Greece), an image of the New York Public Library under construction circa 1908, an image of the Public Market Sign at Pikes Place Market and a few others. 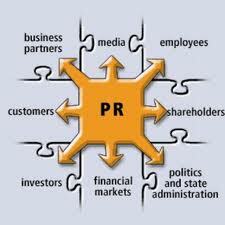 Nothing specific here on “public relations.” You know, stuff about strategy, realistic objectives, open disclosure, ethics and for Pete’s sake — the essence of effective modern public relations which is two-way communications. So, maybe we need some images. The puzzle illustration of PR. 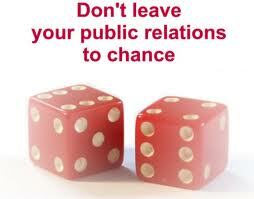 This must be used by Las Vegas PR firms. 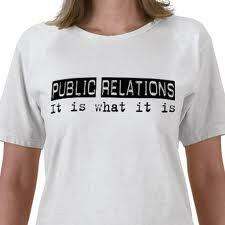 I have a different definition of PR. It won't fit on a shirt. This one is actually pretty good since it starts the PR process with developing strategy. Thanks for joining the Pinterest waiting list. We’ll be sure to send you an invite soon. In the meantime, you can follow us on Twitter. You can also explore a few pins. We’re excited to get you pinning soon! Hey Ben: If you read this post, please let me know what I have to do to get moved up on the waiting list. I’m ready to start pinning.